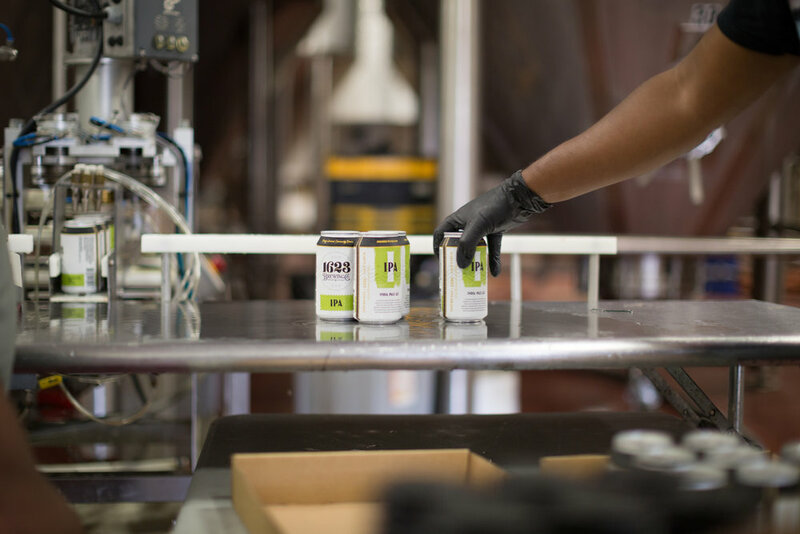 BALTIMORE, MD— 1623 Brewing continues to widen their distribution footprint after signing deals with Wantz Distributing to cover Western Maryland and Westy’s Beverage to service Central Pennsylvania. The expansion in distributions comes after the completion of 1623 Brewing’s year-round lineup of beers in 6-packs of 12 oz. cans following the releases of Dry Irish Stout, Pilsner, IPA, and Hefeweizen. The new distribution agreements will go into effect beginning December 17 with a series of soft launches across both markets and will be widely available across Western Maryland by the end of 2018 and 11 counties in Central Pennsylvania beginning January 1. Launches will include 1623’s core lineup of year-round beers already available in Central Maryland and will continue with seasonal releases in 2019. 1623 Brewing Hefeweizen, IPA, Pilsner, and Irish Dry Stout are all now available in canned 12 oz. 6-packs and on draft at select establishments in Central Maryland, Western Maryland and Central Pennsylvania . Learn more about the beers at 1623brewing.com/beers. For more information on 1623 Brewing’s distribution footprint or any additional media inquiries about 1623 Brewing, contact Emily Hutto at coop@radcraftbeer.com. 1623 Brewing is a family owned, community driven craft brewery that calls both Maryland and Colorado home, where owners and cousins Mike and Sandy McKelvin, and Zac Rissmiller operate each home base of the brewery— 1,623 miles apart. The brewery's tasting room is slated to open in Maryland's Carroll County in 2019, and in the meantime 1623 Brewing cans and draft offerings are available in Central Maryland, Western Maryland, and Central Pennsylvania. Learn more at 1623brewing.com.